Here’s some random stuff found while I was working. If you see any of the ads or pop-ups on your machine, it’s possible that you have some adware installed on your machine. I recommend a scan with FreeFixer to track down the adware. 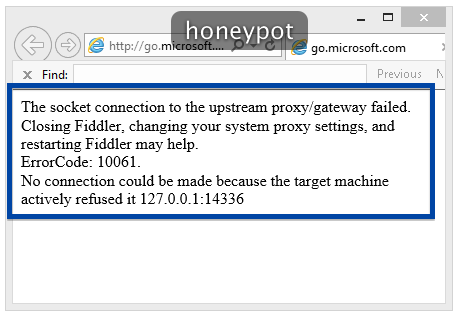 The socket connection to the upstream proxy/gateway failed. Closing Fiddler, changing your system proxy settings, and restarting Fiddler may help. 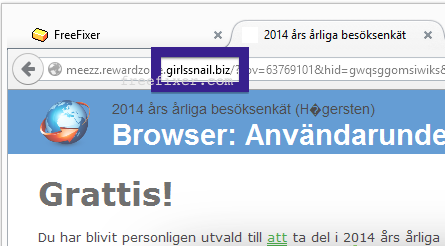 Internet Explorer blocked a pop up from *.ib.adnxs.com. update-for-pc-1024.com. Known to push unwanted software. There’s also other domains on the same IP (207.244.83.26) that sounds related: pc-update-1024.net, pc-update-1024.com and pc-update-1024.org. Seeing connections to js.neomapobjectrack.com in your network log? Then it’s possible you have some PUA installed on your machine. I’ve also seen app.neomapobjectrack.com and logs.neomapobjectrack.com in use. p.trkkrd.com or secure.trkkrd.com in the status bar? 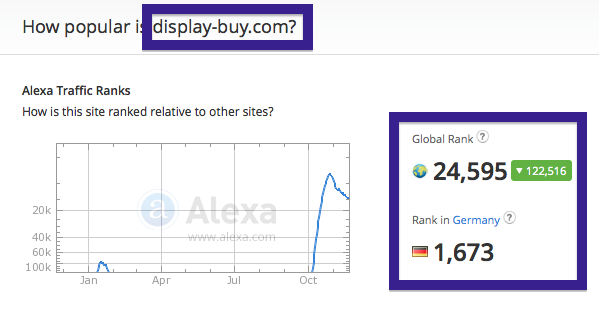 Did you just get a new tab or a pop-up from display-buy.com and ponder where it came from? Did the display-buy.com ad appear to have been launched from a web site that under normal circumstances don’t use aggressive advertising such as pop-up windows? Or did the display-buy.com pop-up show up while you clicked a link on one of the major search engines, such as Google, Bing or Yahoo.? Does this sounds like what you are seeing, you almost certainly have some adware installed on your system that pop up the display-buy.com ads. So don’t send angry emails to the site you were browsing, the advertisements are presumably not coming from them, but from the adware on your computer. I’ll try help you to remove the display-buy.com in this blog post. For those that are new to the blog: Some time ago I dedicated a few of my lab computers and deliberately installed a few adware programs on them. Since then I’ve been following the actions on these computers to see what kinds of advertisements that are displayed. I’m also looking on other interesting things such as if the adware updates itself automatically, or if it installs additional unwanted software on the systems. I first noticed the display-buy.com pop-up on one of these lab machines. display-buy.com was registered on 2013-08-06. display-buy.com resolves to the 54.204.151.128 address. It appears to be a dedicated server. So, how do you remove the display-buy.com pop-up ads? On the machine where I got the display-buy.com ads I had TinyWallet, BrowserWarden and BlockAndSurf installed. I removed them with FreeFixer and that stopped the display-buy.com pop-ups and all the other ads I was getting in Mozilla Firefox. The site had a traffic spike in February/March then again a big spike in October. The 25K traffic rank shows that it get quite a lot of traffic. Alexa also have some info which the “Upstream Sites” are: bannersdontwork.com, akamaihd.net, mcafeestore.com, hrtnvk.com and srshql.com. The issue with this type of pop-up is that it I think it can be launched by many variants of adware. This makes it impossible to say exactly what you need to remove to stop the pop-ups. Examine what programs you have installed in the Add/Remove programs dialog in the Windows Control Panel. Do you see something that you don’t remember installing or that was recently installed? Do you see any of the three adware programs I mentioned above? 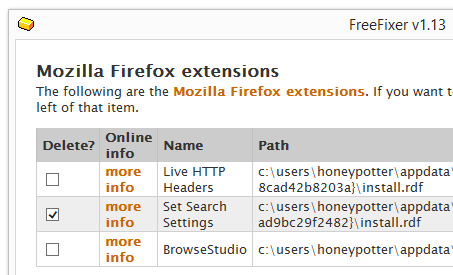 You can also check the browser add-ons. Same thing here, do you see anything that you don’t remember installing? Did this blog post help you to remove the display-buy.com pop-up or new tab ads? Please let me know or how I can improve this blog post. Did you just get interrupted by a pop-up surveys from topwebsiteconnect.xyz ?. You are not alone. I also get the topwebsiteconnect.xyz pop-ups while browsing. Do the surveys also find a way round the pop-up blocker in Google Chrome, Mozilla Firefox, Internet Explorer, Safari or Opera. Then read on. Does this sounds like your story, you presumably have some adware installed on your computer that pop up the topwebsiteconnect.xyz ads. So there’s no use contacting the site owner. The ads are not coming from them. I’ll try help you to remove the topwebsiteconnect.xyz surveys in this blog post. Those that have been visiting this blog already know this, but here we go: Some time ago I dedicated some of my lab machines and deliberately installed a few adware programs on them. I have been monitoring the behaviour on these computers to see what kinds of advertisements that are displayed. I’m also looking on other interesting things such as if the adware auto-updates, or if it installs additional unwanted software on the machines. I first found the topwebsiteconnect.xyz pop-up on one of these lab systems. topwebsiteconnect.xyz was registered on 2014-11-19. So, how do you remove the topwebsiteconnect.xyz pop-up ads? On the machine where I got the topwebsiteconnect.xyz ads I had BuyNSave, TinyWallet and BlockAndSurf installed. I removed them with FreeFixer and that stopped the topwebsiteconnect.xyz pop-ups and all the other ads I was getting in Mozilla Firefox. Do you see something dubious in there or something that you don’t remember installing? Tip: Sort on the “Installed On” column to see if some program was installed approximately about the same time as you started observing the topwebsiteconnect.xyz pop-ups. I think you will be able to track down and remove the adware with the steps outlined above, but in case that did not work you can try the FreeFixer removal tool to identify and remove the adware. 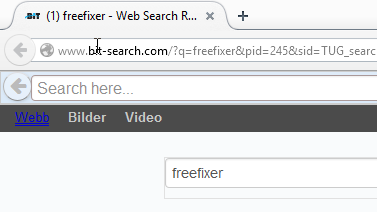 FreeFixer is a freeware tool that I started develop many years ago. Freefixer is a tool designed to manually identify and remove unwanted software. When you’ve identified the unwanted files you can simply tick a checkbox and click on the Fix button to remove the unwanted file. Did this blog post help you to remove the topwebsiteconnect.xyz pop-up ads? Please let me know or how I can improve this blog post. Does this sound familiar? You see pop-up ads from ask.couplose.com while browsing websites that usually don’t advertise in pop-up windows. The pop-ups manage to find a way round the built-in pop-up blockers in Mozilla Firefox, Google Chrome, Internet Explorer or Safari. Maybe the ask.couplose.com pop-ups appear when clicking search results from a Google search? Or does the pop-ups appear even when you’re not browsing? Here’s how the ask.couplose.com pop-up looked like when I got it on my machine. Does this sounds like your computer, you almost certainly have some adware installed on your system that pop up the ask.couplose.com ads. Don’t flame the people that owns the website you were at, the ads are almost certainly not coming from that website, but from the adware that’s running on your computer. I’ll do my best to help you remove the ask.couplose.com in this blog post. For those that are new to the blog: Not long ago I dedicated some of my lab computers and deliberately installed a few adware programs on them. I have been monitoring the behaviour on these computers to see what kinds of ads that are displayed. I’m also looking on other interesting things such as if the adware updates itself automatically, or if it downloads and installs additional unwanted software on the machines. I first found the couplose.com pop-up on one of these lab systems. ask.couplose.com resolves to the 208.43.241.245 address. ask.couplose.com was registered on 2014-09-18. So, how do you remove the ask.couplose.com pop-up ads? On the machine where I got the ask.couplose.com ads I had TinyWallet, BuyNSave and BlockAndSurf installed. I removed them with FreeFixer and that stopped the ask.couplose.com pop-ups and all the other ads I was getting in Mozilla Firefox. BlockAndSurf was the adware that caused the pop-ups in my case. 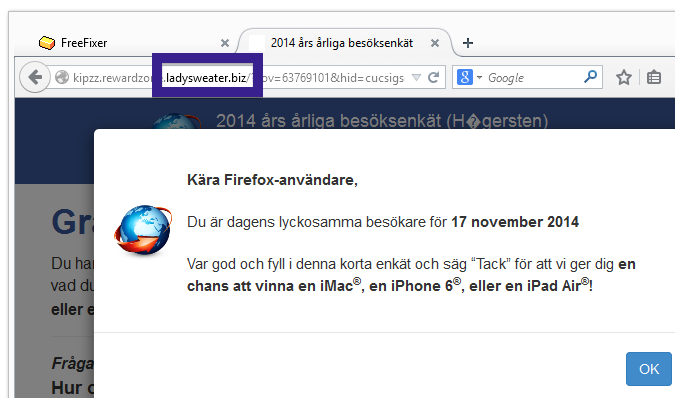 I know this since the pop-up ad had a label with the adware name: “BlockAndSurf“. The issue with this type of pop-up is that it can be launched by many variants of adware. I think that adware such as NewPlayer, Salus, CheckMeUp and SaferSurf can also be responsible for the couplose.com popups. And there are probably other variants too. This makes it impossible to say exactly what you need to remove to stop the pop-ups. 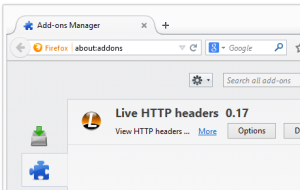 You can also examine the add-ons you installed in your browsers. Same thing here, do you see something that you don’t remember installing? Are you a Mac or Linux user and get the ask.couplose.com pop-ups? What did you do to stop the pop-up in your browser? Please share in the comments below. Thanks! Did you find any adware on your machine? Did that stop the ask.couplose.com ads? Please post the name of the adware you uninstalled from your machine in the comment below. Hello everyone. Just a short post before lunch. Found yet another of these survey pop-ups, this time it’s prizetrick.xyz. 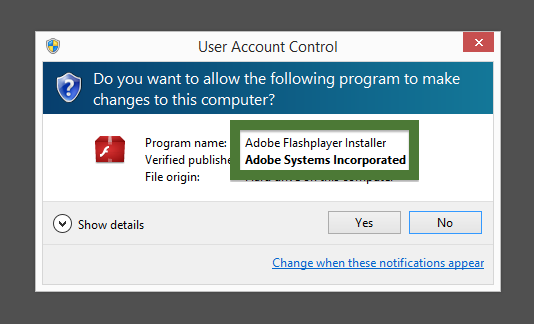 If you get this pop-up on your machine, you probably have some adware on your machine. 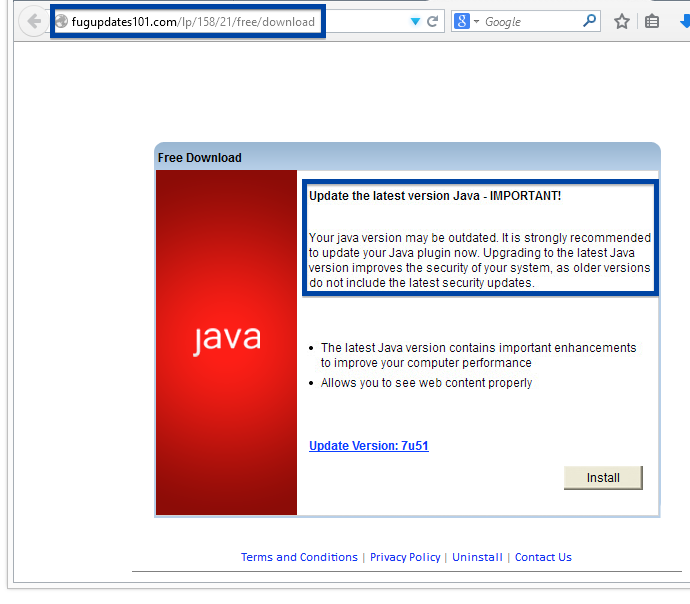 You can track down the adware with FreeFixer and remove it. 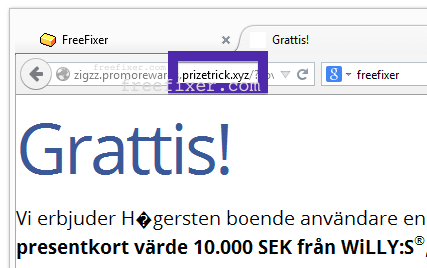 That will stop the prizetrick.xyz pop-ups. Hello! Here’s a short blog post from a foggy Stockholm. 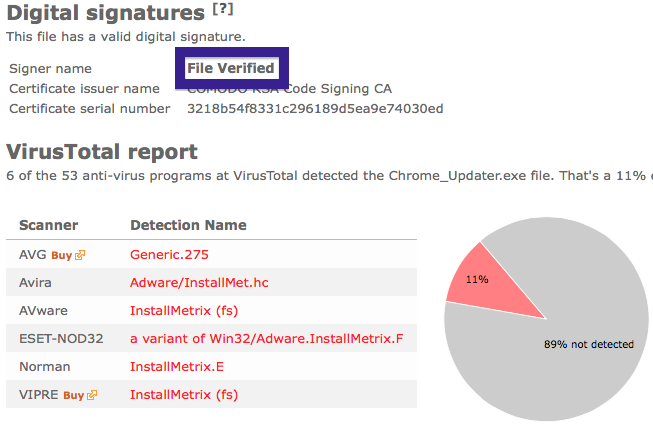 If you’ve been following me for the last year you know that I’ve been examining many software publishers that put a digital signature on their downloads. Today I found another publisher called CoolMirage Ltd. which appears to have been around for some time. The file is named in a way which can make some users think they are downloading a movie, rather than an executable file. 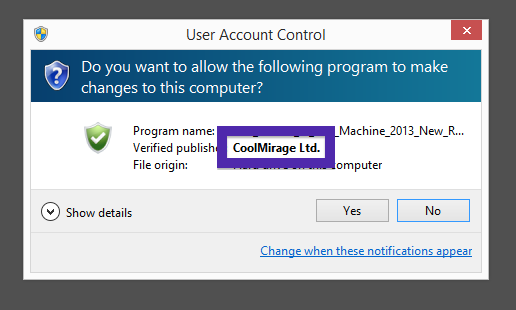 Typically you’d see the CoolMirage Ltd. publisher name appear when double-clicking on the downloaded file: Viewing the certificate information is also possible by looking under the digital signature tab for the file. Here the certificate says that CoolMirage Ltd. is located in Tel Aviv, Israel. 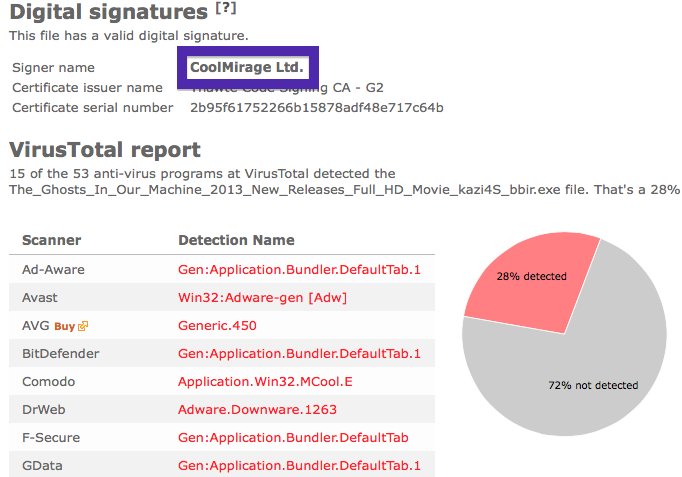 The issue with the CoolMirage Ltd. file is that it is detected by many of the anti-malware scanners. Here are some of the detection names: Gen:Application.Bundler.DefaultTab.1, PUP.Optional.OneClickDownloader.A, Adware-SweetIM, PUP/MultiToolbar.A and CoolMirage. Did you also find a CoolMirage Ltd. file? Do you remember the download link? Please post it in the comments below and I’ll upload it to VirusTotal to see if that one is also detected. Hi there! 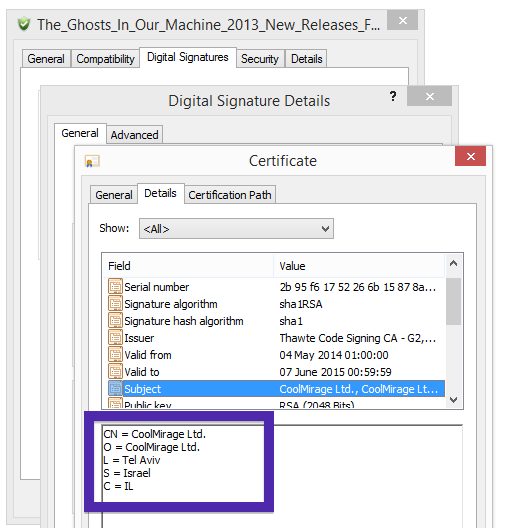 Did you just find a file that’s digitally signed by Tiger Download and came to this blog to find more about it? I ran into this one while I was looking at the steady stream of files submitted to the FreeFixer library. The reason for posting about Tiger Download is that the file is detected by many of the anti-virus programs. F-Secure classifies flashplayerpro_Setup.exe as Gen:Variant.Adware.Kazy.491026, Kaspersky detects it as not-a-virus:AdWare.Win32.iBryte.jig, Malwarebytes detects it as PUP.Optional.Fusion.A and VIPRE names it Optimum Installer (fs). Big thanks to VirusTotal for the scan report. Did you also find a Tiger Download file? Do you remember where you downloaded it? Welcome! Just a short note on a publisher called File Verified that I just found while going through some of the latest additions in the FreeFixer library. What caught my attention was that the download was called Chrome_Updater.exe. 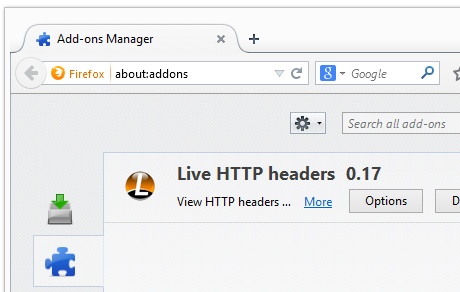 This might look like official Chrome software, but it is not. If it was an official “Chrome Updater”, it should have been digitally signed by Google Inc. and not by some company that no one never heard of. Did you also find a File Verified download? What kind of download was it? Just wanted to write a short post before going back to programming on FreeFixer. I was reviewing some files that recently were submitted to the FreeFixer library and found a new BrowseFox variant called GadgetPrise. GadgetPrise is, as many of the other BrowseFox variants, bundled with downloads such as media player, PDF converters, etc. Bundled means that it is included in another software’s installer. Generally, you can avoid bundled software such as GadgetPrise by being careful when installing software and declining the bundled offers in the installer. When I test some new bundled software I always upload it to VirusTotal to test if the antiviruses there detect anything fishy. 44% of the antivirus scanners detected the file. BitDefender reports GadgetPrise as Gen:Variant.Adware.SwiftBrowse.1, DrWeb reports Trojan.BPlug.281, ESET-NOD32 detects it as Win32/BrowseFox.V and Kaspersky reports not-a-virus:AdWare.Win32.Yotoon.bfm. I’m sure you’d like to remove GadgetPrise, and that’s easy with FreeFixer. You can identify the GadgetPrise files, since they are digitally signed by GadgetPrice as shown in the screen capture above. After selecting the files, click Fix, and reboot your machine and the problem should be gone. Do you also have GadgetPrice on your machine? Any idea how it was installed? Please share by posting a comment. Thanks! Does this sound like your story? You see pop-up surveys from fastworldconnect.xyz while browsing web sites that mostly don’t advertise in pop-up windows. The pop-ups manage to sidestep the built-in pop-up blockers in Google Chrome, Mozilla Firefox, Internet Explorer or Safari. If this description sounds like your computer, you apparently have some adware installed on your machine that pop up the fastworldconnect.xyz surveys. I’ll do my best to help you remove the fastworldconnect.xyz in this blog post. If you have been reading this blog already know this, but if you are new: Recently I dedicated some of my lab computers and deliberately installed a few adware programs on them. Since then I’ve been observing the behaviour on these computers to see what kinds of adverts that are displayed. I’m also looking on other interesting things such as if the adware auto-updates, or if it installs additional unwanted software on the computers. I first observed the fastworldconnect.xyz pop-up surveys on one of these lab systems. k9kzz.rewardzone.fastworldconnect.xyz resolves to 104.207.156.103, and fastworldconnect.xyz to 184.73.247.179. The domain was registered just a few days ago. So, how do you remove the fastworldconnect.xyz pop-up ads? On the machine where I got the fastworldconnect.xyz ads I had BuyNSave, BlockAndSurf and TinyWallet installed. I removed them with FreeFixer and that stopped the fastworldconnect.xyz pop-ups and all the other ads I was getting in Firefox. The issue with this type of pop-up survey is that it can be launched by many variants of adware. This makes it impossible to say exactly what you need to remove to stop the pop-ups. 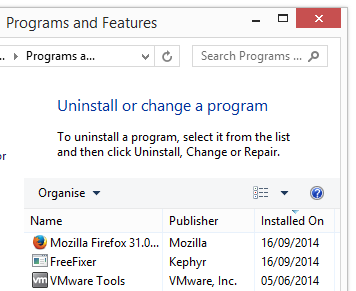 Check what programs you have installed in the Add/Remove programs dialog in the Windows Control Panel. Do you see something that you don’t remember installing and that was recently installed? 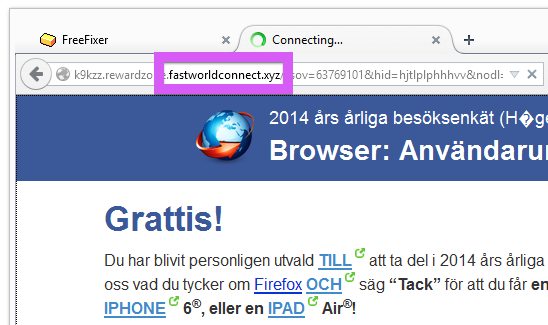 Did this blog post help you to remove the fastworldconnect.xyz pop-up ads? Please let me know or how I can improve this blog post.